President Trump’s plan to improve government efficiency and effectiveness is standard operating procedure. Since Franklin D. Roosevelt, every President has sought to leave their mark on the federal bureaucracy. 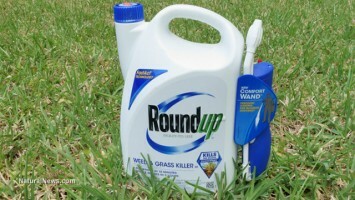 Some take root and grow; most die like weeds after a dose of Roundup®. President Trump is now giving it the ol’ business try. His Office of American Innovation (OAI) will tackle government stagnation, produce results and infuse his “ahead of schedule, under budget” mantra. Impressive names from the American financial and technology sectors serve as the guiding lights. Across the country, a small Washington State rural county government faces a similar challenge. After a year of continued media reports slamming the commissioners and calling for a professional county administrator, the three-member County Commissioners formed a Blue-Ribbon Task Force (BRTF) to find a solution. Their task addresses the need for a professional county administrator and defining what is “better” government for the county’s citizens. Comparing the two efforts to date, what can we learn? Are the lessons important? Lesson #1. Specificity is critical. A Wendy’s commercial once asked, “Where’s the beef?” Both OAI and BRTF are focused on government stagnation and service delivery.In their first meeting, the OAI group raised the issue of modernizing the Department of Veteran Affairs. In their report out, no one identified the specific issue they were addressing nor how they proposed to define the problem to be solved. Whereas, the BRTF has focused on a structural issue to determine the need for a professional administrator who can relieve the burden of daily operations from the three-member County Commission. Lesson #2: Include the right people – those responsible for the work/stakeholders. Attendees in the first OAI meeting included senior White House officials and technology luminaries like Bill Gates, Mark Zuckerberg, Jeff Bezos, Tim Cook, and others. Talented individuals for sure, but what’s their expertise to address the fundamental and critical issues VA Secretary Shulkin recently articulated. Fixing processes and attitudes is through strong leaders is far more critical than new technological programs. Conversely, the BSTF’s membership consists of businessmen, community leaders, a former commissioner, and a county director. Their efforts have focused on educating themselves about the complexities of county governance and its structure. Their readings have included numerous reports from across the country about how different counties form of government works, or doesn’t. They’ve interviewed dozens of people with knowledge of the intricacies of county government. Commissioners, former commissioners, other elected county officials, current and past professional county administrators have provided input for their consideration. Lesson #3: Preparation of the change battlefield requires communications/engagement. In The Heart of Change, Kotter and Cohen stress that new strategies, systems, or culture do not guarantee success. The central challenge is changing people’s behaviors by influencing their feelings. How have OAI and the BRTF started the process of winning support for their efforts? As previously pointed out, no representative was present for the discussion about modernizing the VA. Those in the Department must wonder what the “top-down” solution will be. Like good public servants they will accept their new direction, or at least go through the motions. This isn’t a criticism, but a fact. In today’s culture, changing one’s behavior, as others have written in previous articles, requires staff engagement. The BSTF’s approach is different. First, a serving director sits on the panel. He’s able to address his peers’ concerns and fears of a potential structural change that impact the way they interface with the three Commissioners. Second, local media presence at the meetings has kept the public informed, educating them on the complexities of county government which has had the additional benefit in reducing negative press. Alexander Hamilton wrote in Federalist 70, “A feeble execution is but another phrase for a bad execution; and a government ill executed, whatever it may be in theory, must be, in practice, a bad government.” This wisdom is as true today as they day they were penned. Since 2001, Americans have steady disapproved of the country’s direction and their trust in government to do the right thing continues to wane. Neither party is immune from the criticism and loss of confidence. Obamacare is a classic example. The implementation of the Affordable Care Act with the malfunctioning website is equally matched by initial Republican efforts at “Repeal and Replace.” Both were debacles, both demonstrate bad government. Rebuilding trust and confidence in government at all levels is the responsibility of its elected and appointed leaders, as well as those front line staff who serve the citizenry every day. Improving efficiency and effectiveness of government services is one but one tool. When an organization decides to undertake this effort, remember the lessons. Clearly defined problem statement, include the right people and stakeholders in solution development, and preparing the change battlefield through constant communication/engagement leads to good government. In comparing the two efforts within this piece, which one will root and grow? Which one will end up with a dose of Roundup ®. One Response to Root or Roundup? Sound article. One could argue too that rather than the proverbial argument to simply “reform or fix” government – there could be some more rounding up of the weeds to ‘retire, absorb or consolidate’ the shear multitude of federal agencies.